Well, it’s not even summer and it’s been 90 degrees out for two days. I’ve had enough. But one great thing about it, is that it’s a great segue into my June tradition of writing about E.B. White’s beautiful essay, “Once More to the Lake.” I’m temporarily not living in Belgrade Lakes, the town of White’s essay and I’m also bogged down with final details of launching my new podcast (“Notes from a Cranky Editor,” check it out) and preparing my keynote speech for the Friends of Haverhill (Mass.) Public Library, which will be, um, last night when you read this. I’m just throwing that stuff around so you don’t think I’m lying on a beach eating cheeseburgers and listening to the boom box, or whatever people who lie on the beach do. Popham Beach on June 8. C’mon, it’s not summer yet! It’s okay if it’s 50 degrees and no sun. We Maine Crime Writers live in a dark place — both geographically and mentally. One of the things that makes Maine so delicious for mystery settings is its deep darkness. There are a lot of short days, a lot of dark hours, dead trees, bare vegetation. Lots of cold, rain, ice. And we write about death and evil. We have to, or we wouldn’t have anything to write about as mystery writers. But one of the great things about Maine, one of the things you don’t fully get unless you live here, is that there’s a payoff to the darkness. A day like this. After all the gloom and gray and cold, dead trees and dead earth the state explodes into a riot of high definition greens and blues. Uncontrolled and unmanicured, warm and good-smelling. Bright and very, very alive. The lagoon behind Ogunquit Beach at dusk, June 3. On a day like this, it’s impossible to write anything dark, or even contemplate darkness. As writers and readers we love the written word. One of the masters was the great E.B. White. As a child, White spent summers in Belgrade Lakes. Later in life he moved to Brooklin on the Blue Hill Peninsula and left the Lakes behind. But in 1941, he brought his 10-year-old son to Belgrade to experience the kind of summer on Great Pond he himself had as a boy. I’m lucky enough to live in Belgrade Lakes now, and a couple years ago, after I’d moved here, I stumbled upon his beautiful essay “Once More to the Lake” about that visit with his son. I’d read it in college, but now, living here, it resonated. Sunset at the ferry landing on Long Island, Maine, May 27. 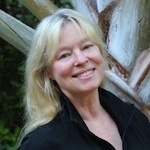 Maureen Milliken is the author of the Bernie O’Dea mystery series. 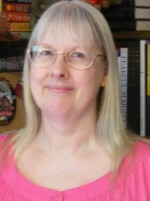 Follow her on Twitter at@mmilliken47 and like her Facebook page at Maureen Milliken mysteries. 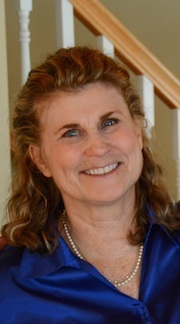 Sign up for email updates at maureenmilliken.com. She hosts the podcast Notes from a Cranky Editor all by herself, as well Crime&Stuff with her sister Rebecca Milliken. This entry was posted in Maureen's Posts and tagged E.B. White, June, Maine, Maureen Milliken, summer. Bookmark the permalink. Oh…thank you for the E. B. moment. And your pics that remind us that cool temps mean less competition for the good places…..Appreciated!